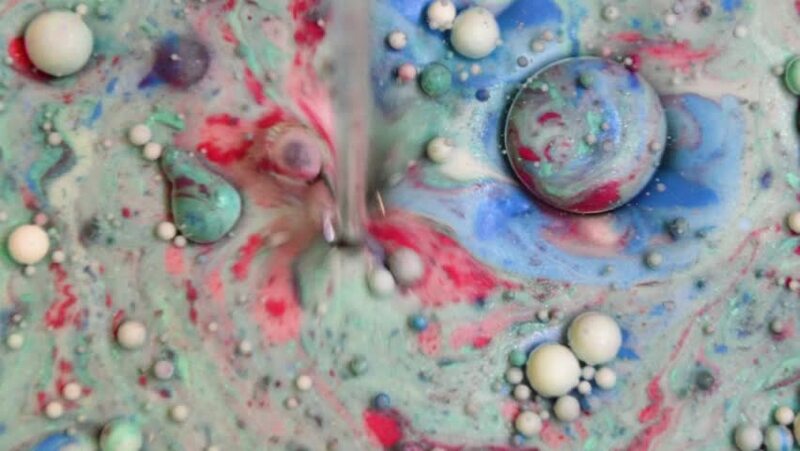 4k00:15Abstract colorful bubbles marble background with milk oil and soap. Colored inks react to a drop of liquid soap in the oil. 4k00:29Colorful sparkling paints mix in beautiful patterns. Oil ink of green, red, blue and other colors spread on the surface and mix one into another creating amazing textures and design.